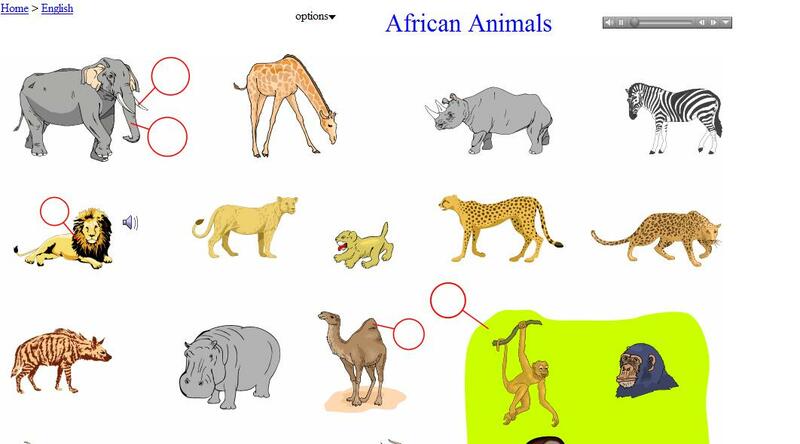 Practice vocabulary related to African animals. Place your cursor over an image to hear it pronounced aloud, then quiz yourself by activating 'quiz mode'. Requires Quicktime.